Hello everyone! I can’t remember the last time I made a post dedicated to anything beauty related, which is super sad because that’s part of this blog and is one of my passions! I’m very excited to come to you with anotha one! So my normal makeup routine will always include foundation primer, an eyelash curler, mascara, tinted moisturizer, translucent powder, and bronzer as the bare minimum. 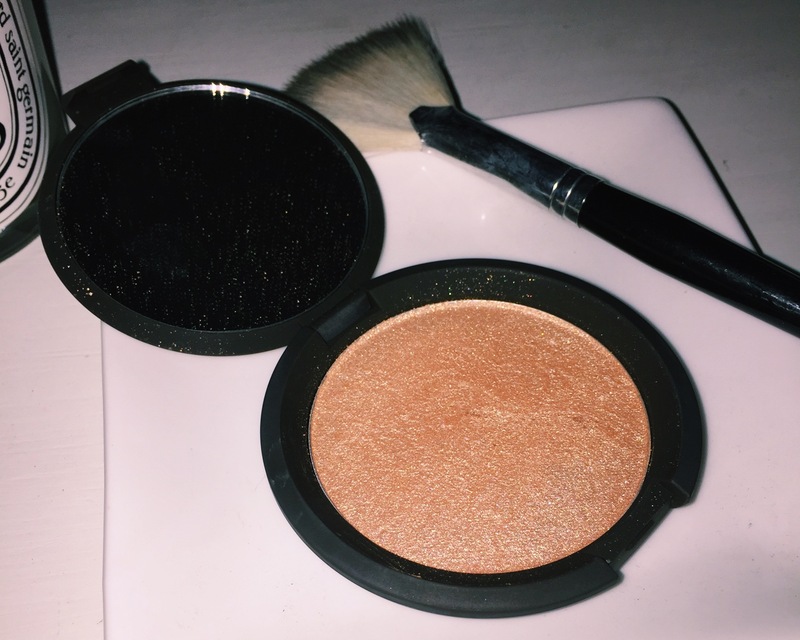 I have been using blush much more consistently but I had never owned a highlighter…until recently that is! And boy, was I missing out! I am a big fan of YouTube and I love watching the routines and new looks of the beauty gurus. I’ve seen them all apply different highlighters, but I was always afraid my face was too oily and shiny already. I thought a highlighter would make it look worse. But now that my skin has improved, I decided to test the waters with a highlighter! I picked up one from Becca (at Sephora), who collaborated with Jaclyn Hill to create one of the most beautiful products I have ever applied. 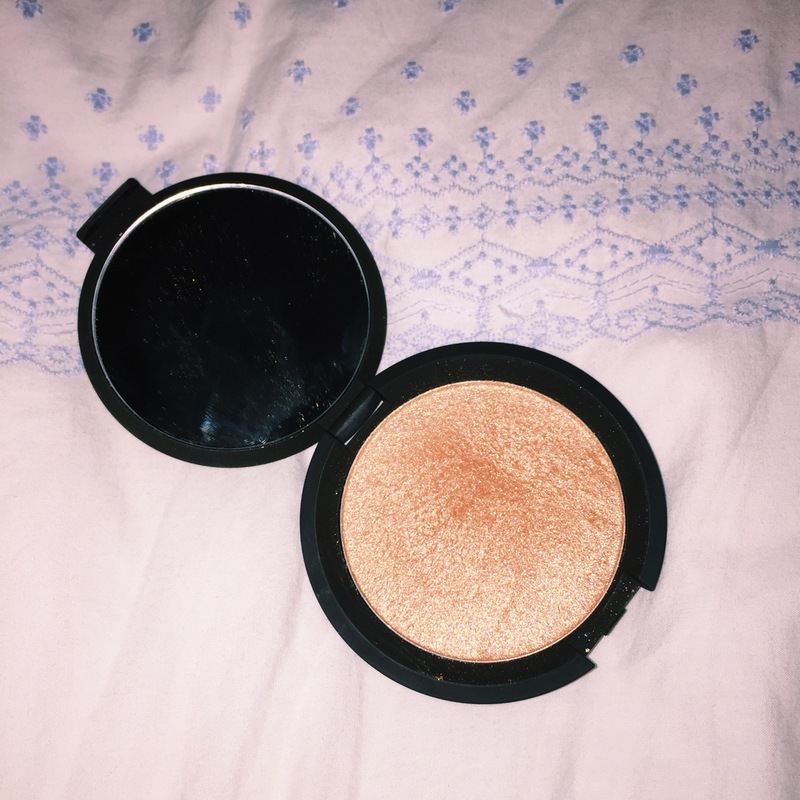 CHAMPAGNE POP! This highlighter is an absolute gem, which kind of makes your face looks like a gem too and who doesn’t want that?? As you can see, the highlighter is quite literally a champagne color with peach undertones. I wasn’t sure exactly what I should choose as a first highlighter, but this color was absolutely perfect for me and would look good on any skin tone without a doubt! I almost bought a Milk Makeup highlighter, which is more of a cream. I noticed it just seemed to move my tinted moisturizer around on my face and was a little clumpy. It was a gorgeous holographic tone when swatched on my hand, but when I actually tested it out on my face, it was a big no no. So I recommend if you’re trying out highlighter for the first time like I did, try a powder instead of a cream. 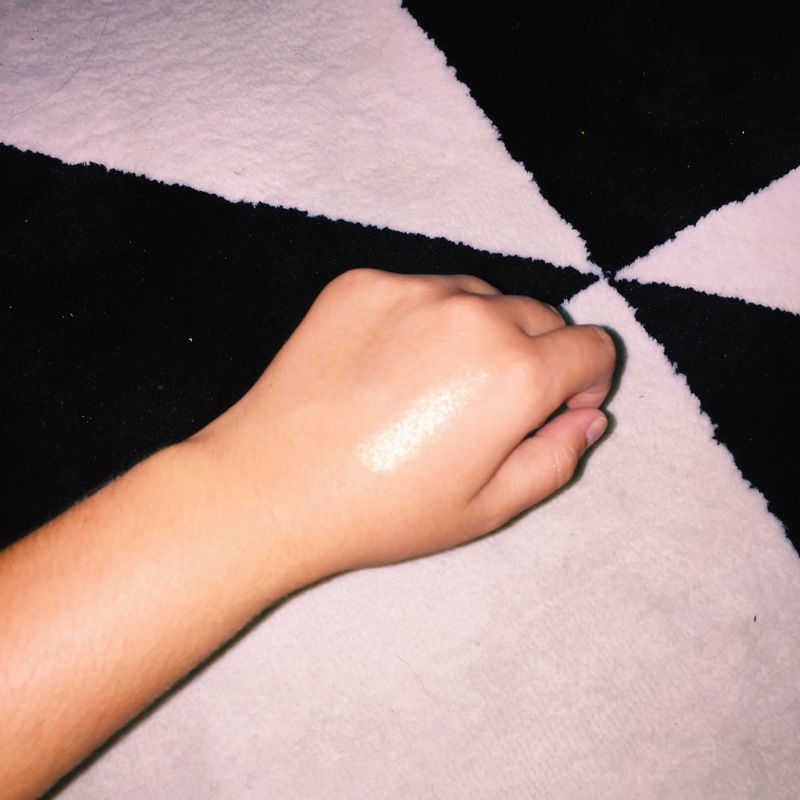 Here is Champagne Pop swatched on my hand. You can see how well it picks up the light and glitters so effortlessly. Also I apologize for the use of flash but in my current state I had no other way of reflecting proper light onto the highlighter. I normally apply it with this fan brush from Sephora. It allows you to have a very light hand, since over doing it with highlighter could lead to too much shimmer. Is there such a thing as too much shimmer? I’m not sure, but normally when I do any sort of makeup I like to start light and slowly build up. Next Post Healthy Alternatives for the Junk Foods You LOVE! you are so right, it’s incredible!! Definitely going to get this!!! Beautiful highlighter . looks great on you as well. I just got a few new highlighters and I’ve never tried them before, so I’m looking forward to playing around with them soon (: I love the color of this one! that’s awesome! i’d love to see a post about those! ill have to pop over to your blog and check them out!